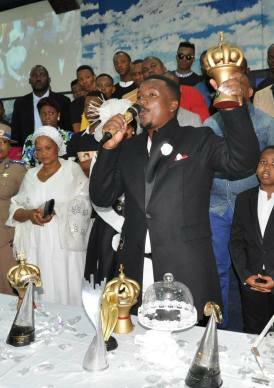 Award-winning gospel sensation Sfiso Ncwane sure loves his pastor! The crooner recently showed great appreciation to Pastor Rev Francis O Anosike, the man he refers to as his spiritual father, by buying him a car worth over R1 million. Ncwane was at the Rock of Victory Ministries recently where he dropped off a brand new Mercedes Benz GL63 AMG which set him back a cool R1, 9 million. After news of this pricey gift broke, so did social media - and as usual, there was a good mix of cynics and supporters of his extravagent gift. Take a look at Ncwane's post as well as his 'spiritual father's' set of brand new wheels. Also, take part in our poll underneath.